We almost always say as we're approaching Johnson City after a trip, "It was wonderful but the scenery near home is as beautiful as what we saw." Some was more magnificent - Yosemite most recently. Some was greener and more picturesque - Ireland last week - but the mountains,the rivers and lakes, the farmland in East Tennessee are beautiful. it's hard to beat what we have right here. 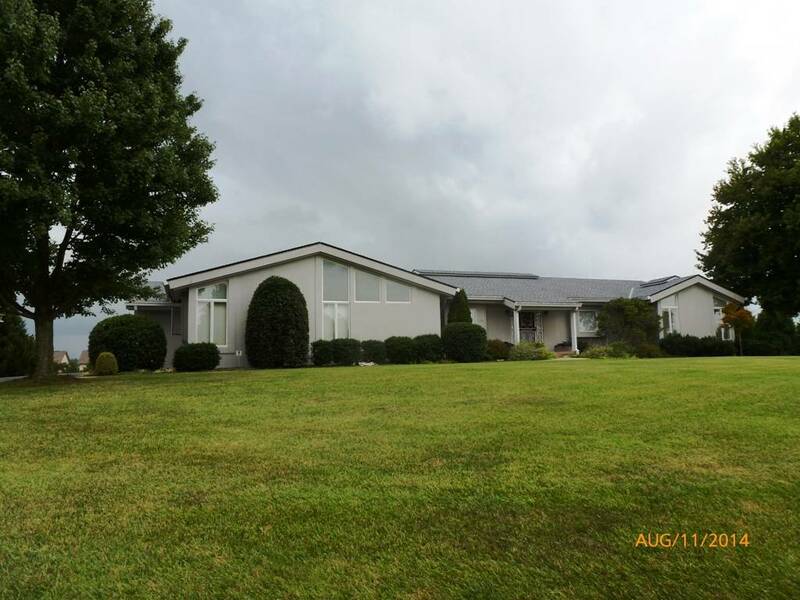 The ranch at 720 Sharon Drive has exceptional views even for Johnson City. Maybe I'm a little prejudiced (it's my own home), but people do sometimes come up my driveways to watch the sunrises or the sunsets (left for sunsets, right for sunrises). And on a clear day, there are four distinct mountain ridges between here and North Carolina. The house sits on almost three acres on just enough of a hill that the houses and town between it and the mountains don't obscure the views at all. Children in this neighborhood go to Towne Acres Elementary, which many people ask for, and even with the field next door with its horses and goats, it's within ten minutes of almost everything - hospitals, specialty pracctices, restaurants, shopping, banks. This isn't a "downsize" ranch. There are 3800 square feet on the main level and a basement with ffice and huge shop/storage spaces. The all-weather porch is 40 feet wide and rooms are all generous in size. The two master suites on the main level may suit several family situations or provide great privacy for guests.